Philosophical Investigations: The Pleasures of Idle Thought? What is the purpose of thought? 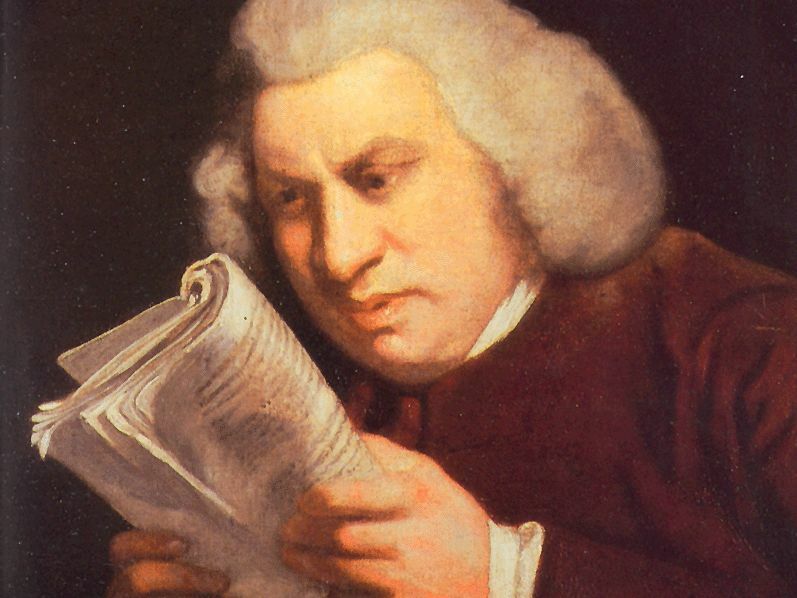 This was the focus of a monumental series of essays, chiefly written by the English lexicographer and essayist Dr. Samuel Johnson. His essays, however, had a sting in the tail. • There is the kind of Idler, Dr. Johnson begins, who carries idleness as a “silent and peaceful quality, that neither raises envy by ostentation, nor hatred by opposition”. His life will be less dreadful and more peaceful if he refrains from any serious engagement with matters, and yet he should not “languish for want of amusement”. He needs the beguilement of ideas. • There is the Idler, too, who is on the point of more serious thought, yet “always in a state of preparation”. It cannot fully be classified as idleness, since he is constantly forming plans and accumulating materials for the “main affair”. But perhaps he fears failure, or he is simply captivated by the methods of preparation. The main affair never arrives. • Then there is the Idler who, in his idleness, begins to feel the stirring of a certain unease. He fills his days with petty business, and while he does so productively, yet he does not “lie quite at rest”. When he retires from his business to be alone, he discovers little comfort. His thoughts “do not make him sufficiently useful to others”, and make him “weary of himself”. • In fact, in time, there is the Idler who begins to tremble at the thought that he must go home, so that friends may sleep. At this time, “all the world agrees to shut out interruption”. While his favourite pastime has been to shut out inner reflection, yet such inner reflection now seems to press in on him from all sides. • As life nears its end, there is the Idler who fears the end, yet in continuing idleness of thought, he seeks to ignore the fact that each moment brings him closer to his demise. He now finds that his idle thoughts have trapped him. His own mortality is disconcerting, yet something which he has never known how to face before. • In his final essay, which is written in a “solemn week” of the Church – a week of “the review of life” and “the renovation of holy purposes” – Dr. Johnson expresses the hope that “my readers are already disposed to view every incident with seriousness and improve it by meditation”. Any other approach to thought will finally be self-defeating. There are many, writes Dr. Johnson, who when they finally understand this, find that it is too late for them to capture the moments lost. The last good gesture of The Idler is to warn his readers that the hour may be at hand when “probation ceases and repentance will be vain”. Idleness of thought is not after all as innocent as it seems. It comes back to bite you. The purpose of thought, then, is ultimately to engage with life’s biggest questions. It seems a remarkable achievement that Dr. Johnson apparently held an overview of about 100 essays in his head, which followed a meaningful progression over a period of three full years. These essays continue to provoke and inspire today. All but one – which was thought to be seditious – were bound into a single volume. An edition which is still in print and still being read by “Idlers” today is recommended below. Johnson, Samuel. “The Idler.” Samuel Johnson: Selected Poetry and Prose, edited by Frank Brady and W.K. Wimsatt, University of California Press, Ltd., 1977, 241-75. Eastern and Western Philosophy: Personal Identity. It appears that Johnson believes we would all be wasting our lives if we failed to use our mental capability to fashion and synthesize ideas. I enjoyed reading this post -- well-done! Thank you Eric. Yes. I found it a very special piece. Pleasant, thoughtful, a bit off-beat, and it drives deep. Is there a contrast to be made with Eastern ideals of meditation and inaction? I do see a kind of Western health fascism everywhere, which involves keeping fit and getting up early... yet the person running round and round is surely not thinking very deeply either.. I simply wanted to thank you a lot more for your amazing website you have developed here. It can be full of useful tips for those who are actually interested in this specific subject, primarily this very post. Your all so sweet in addition to thoughtful of others and reading the blog posts is a great delight in my opinion. And thats a generous present! I usually have enjoyment making use of your recommendations in what we need to do in the near future. Our checklist is a distance long and tips will certainly be put to excellent use.